This is a utility that can monitor any notebook battery, intended to provide all the battery data, to help prolong its life and to save its energy. It computes and displays a few important battery parameters, such as the wear level and discharge cycles count. An easy-to-use software utility that continuously shows the CPU, memory, disk and process usage, the network traffic, the sound and battery levels and the current time. All these percent values are displayed on eight large dials or as vertical bars, in different graphic styles. A utility that helps you calculate the value of all types of resistors, including the SMD ones. The color code (3 to 6 bands) may be easily generated or recognized, and the total resistance of two resistors connected in series or in parallel may be also calculated. A utility that allows you to run your web searches three times faster! It uses the actual major engines on the Internet and facilitates multiple searching processes for your words or phrases. Software simulation of the elementary charged particles and their fields, using the granular interactions formulas stated in the Prime Theory of physics. Click the name for more details about this new project. This software utility helps you choose a high quality display and adjust it for an optimum performance. It now includes some touch tests designed for Tablet PCs. This free software utility allows you to have the most used computer power commands one click away. Simply save the energy, save your time, and prolong the laptop or tablet battery life with no effort involved. This utility displays a big analogue clock on your desktop, and you can adjust its position and if it stays in front of the other windows. Now you have an one-time alarm, in addition to the older recurrent one. 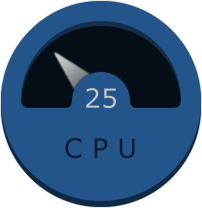 A free CPU, disk, memory and process meter for your desktop. This utility allows to easily have a dynamic overview of your computer's performance and of its resources utilization. A free utility for modern microprocessors, displaying the usage value for all their cores. It helps you to have a dynamic overview of your processor's performance when running tasks on all its cores. 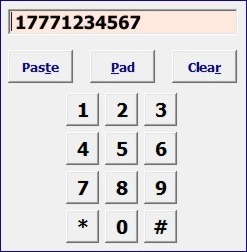 This is a call manager, allowing you to select and dial any phone number directly from your PC. It works with Cisco IP phones connected to your local network and it can send several commands such as dial, end, hold on each extension you select.